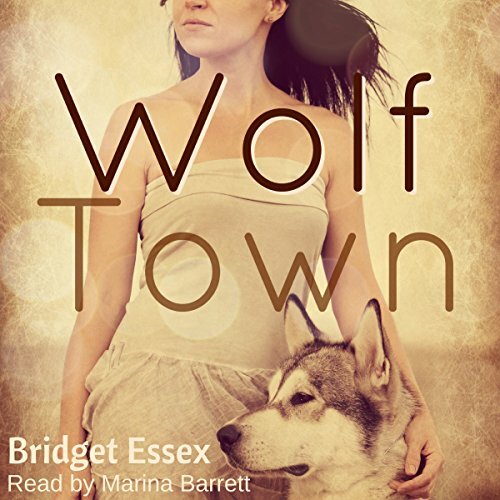 Wolf Town by Rose and Star Press at Spring Brook Audio. Hurry! Limited time offer. Offer valid only while supplies last. A love story about a werewolf, a witch and an odd little New England town...Amy Linden has a boring job and lives a boring life...or so it seems. A love story about a werewolf, a witch and an odd little New England town...Amy Linden has a boring job and lives a boring life...or so it seems. But secretly, Amy is a witch who was raised by a family of witchy women who taught her how to cast spells, chat with ghosts and how to brew a truly enchanting cup of coffee. Nursing a broken heart after her girlfriend just left her, Amy's feeling a little stifled by her small-town life. When her aunt sends her a letter asking Amy to come run her café in Wolf Town, Maine, while she vacations, Amy is prepared for some strong coffee, a little witchcraft and a lot of breakfast specials. And a fresh start. But nothing could have prepared her for Wolf Town itself. Populated by werewolves, fairy hordes and lake monsters, the strange, secluded town isn't exactly what Amy was expecting. Then she meets Morgan - the daughter of the werewolf patriarch of Wolf Town, not to mention the most gorgeous lady Amy has ever seen. When their eyes meet, Amy is utterly spellbound, and she knows that Morgan is the woman meant for her. But even destined love can sometimes be impossible, and Wolf Town has its dark past. Are Morgan and Amy meant to be together, or will Wolf Town's secrets destroy them...and the town itself? Wolf Town is a light-hearted, fantastical romance that will take you on a journey you'll never forget. View More In Lesbian Romance. If you have any questions about this product by Rose and Star Press, contact us by completing and submitting the form below. If you are looking for a specif part number, please include it with your message.